You are going to Watch Naruto Shippuden Episode 312 English subbed online free episodes with HQ / high quality. 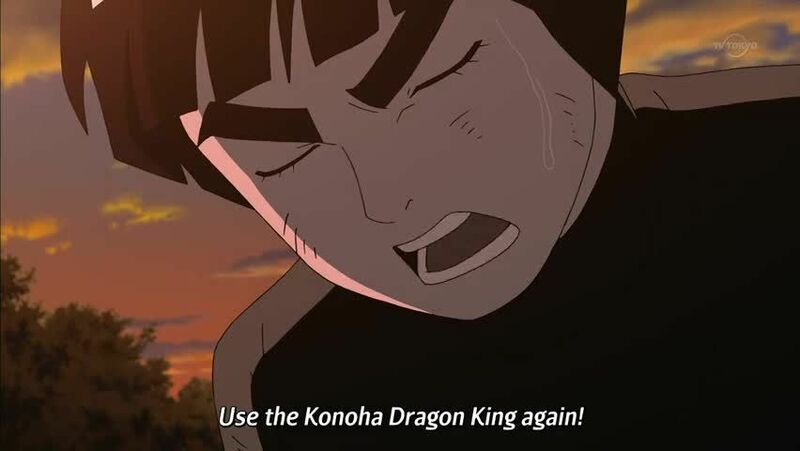 Stream Anime Naruto Shippuden Episode 312 Online English sub The Old Master and the Dragon’s Eye. Still searching thoroughly for any remaining factions of the enemy, the Third Division came across another reincarnated shinobi: Master Chen — a renown hero of the Hidden Leaf who was thought to have died during the Third Shinobi World War. As Might Guy who is happy at the prospect on challenging such a famed taijutsu master, Konoha’s Sublime Green Beast of Prey soon finds himself being forced on the defensive by the old man. A shinobi is able to break away from the battle and in his search for reinforcements, finds Rock Lee who rushes to Guy’s aid. Seeing the legend he met once before as a genin before him, Lee reveals his history with Chen before engaging the legend in battle. Ultimately, Lee is able to counter Chen’s Leaf Dragon God technique, using the One-Man Front Lotus which he had engineered to counter the rotation of the winds of the former. As Chen’s immortal body disintegrates, he remembers the time when he had his own student who was incapable of using ninjutsu, and how he had died during the Third Shinobi World War. With that, he notes that it was high time his grave served a purpose. With tears streaming down his face, Lee noted that he would bring offerings of rice balls to his grave.